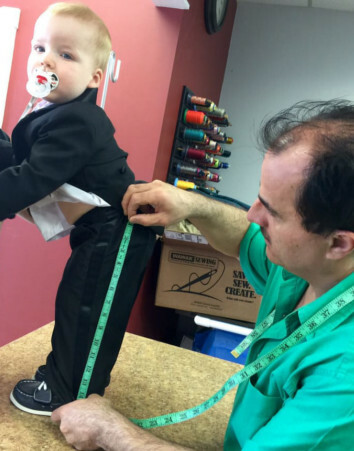 Chayban Tailors provide all major and minor alterations for men, women, and children. 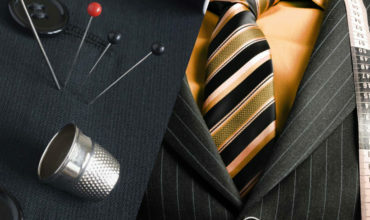 With over 30 years of experience, Chayban Tailors provides all major and minor alterations for men, women, and children. 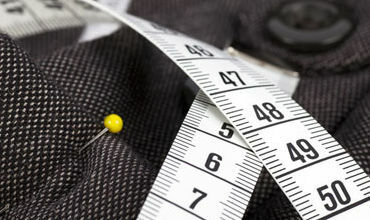 We even provide same day service on many alterations and are open six days a week. 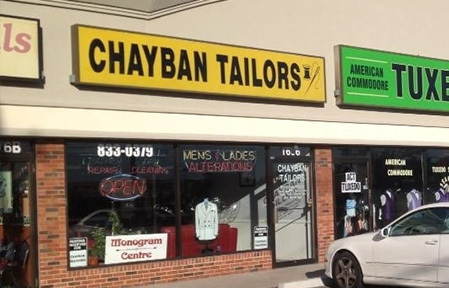 Chayban Tailors strives to provide customers with exceptional quality and timely completion of work, superior service, and guaranteed satisfaction. If you have any questions about us, don’t hesitate to contact us. However, we encourage prospective clients to visit us in person. We're sure that once you see our work firsthand, you'll be confident that we are your best choice. 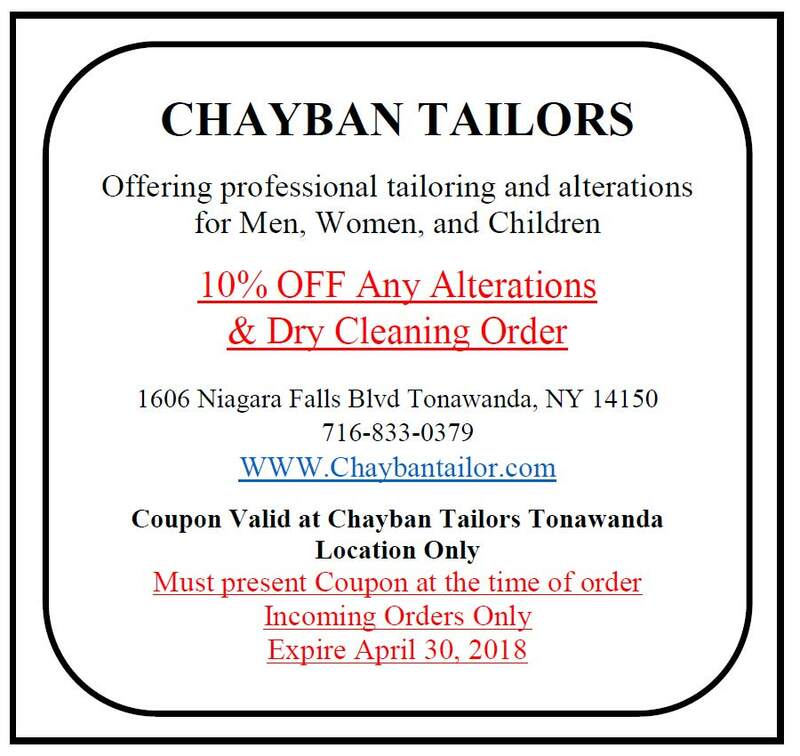 If you need a Tailor in Buffalo, Williamsville, Amherst, Tonawanda, or WNY in general, Chayban Tailors is that place. 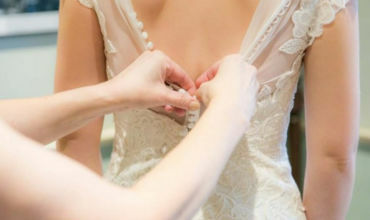 Rest easy on your special day knowing your dress was in our hands. Every girl deserves that perfect dress for her prom. Let us help with that. We can patch, resize, and reshape the uniform that needs extra attention. No job is too big or too small for us. We want to provide you with the best customer satisfaction. Period. Located right off exit 3 (Niagara Falls Blvd) on I-290 for quick access across the WNY area.